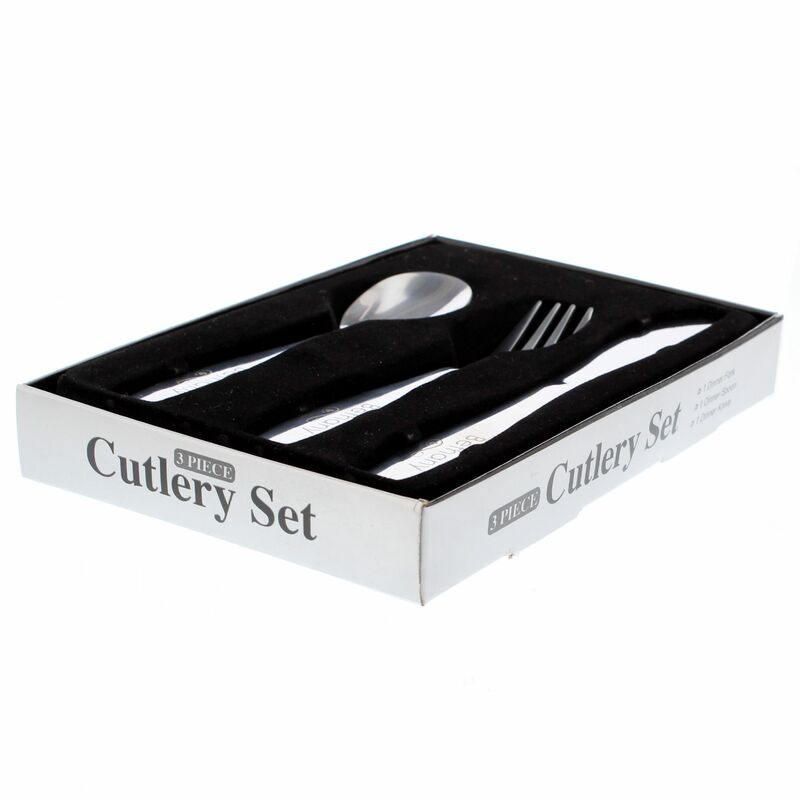 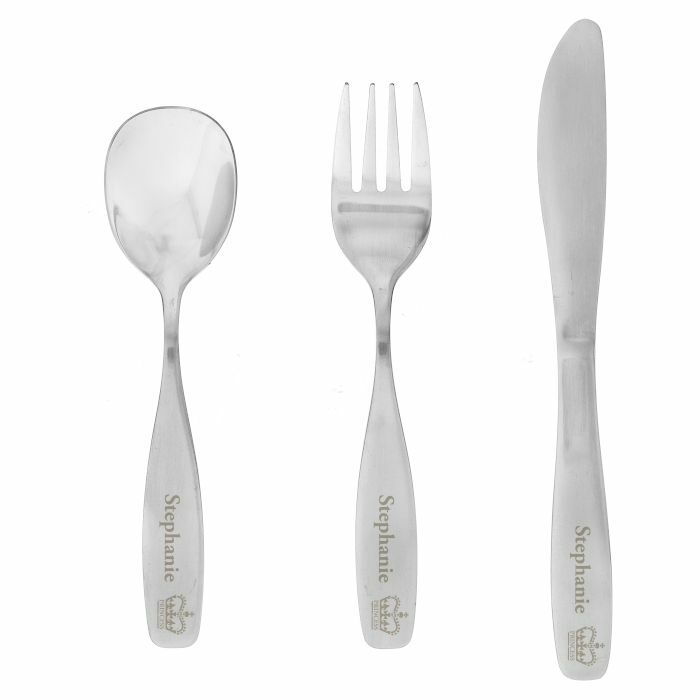 Child's 3 piece stainless steel cutlery set engraved with Crown and Princess motif. 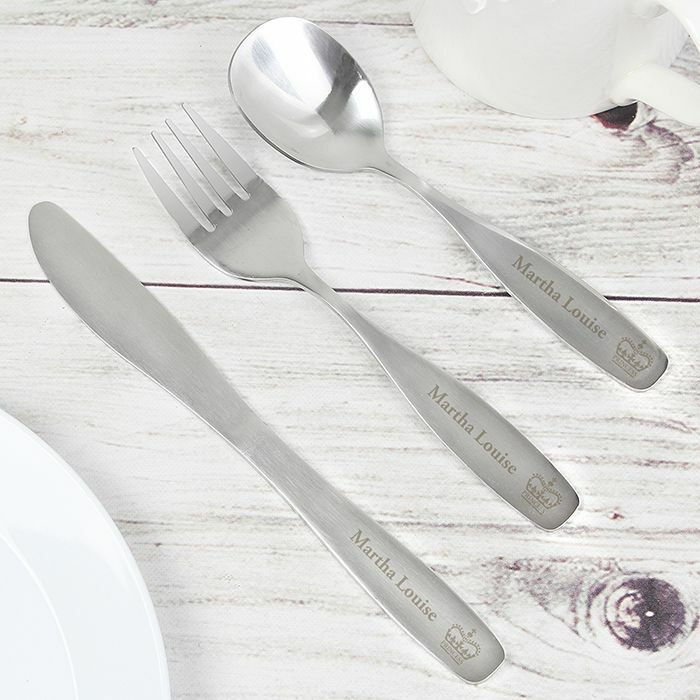 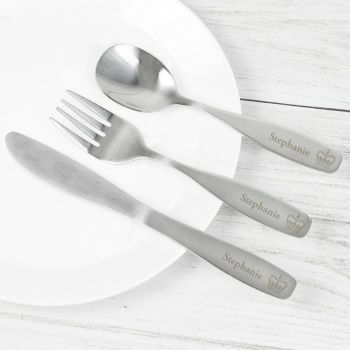 Child's 3 piece stainless steel cutlery set engraved with Crown and Princess motif and child's first name up to 15 characters. 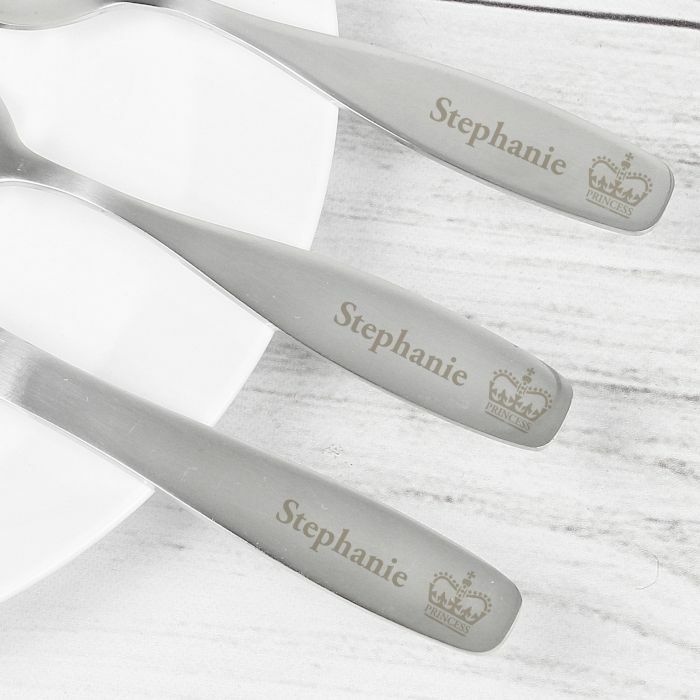 'Princess' is fixed text.